Hello everyone, today I’m proud to introduce you my complete low poly bus ! For the model, I was inspired by the Van Hool A330 from 1999. 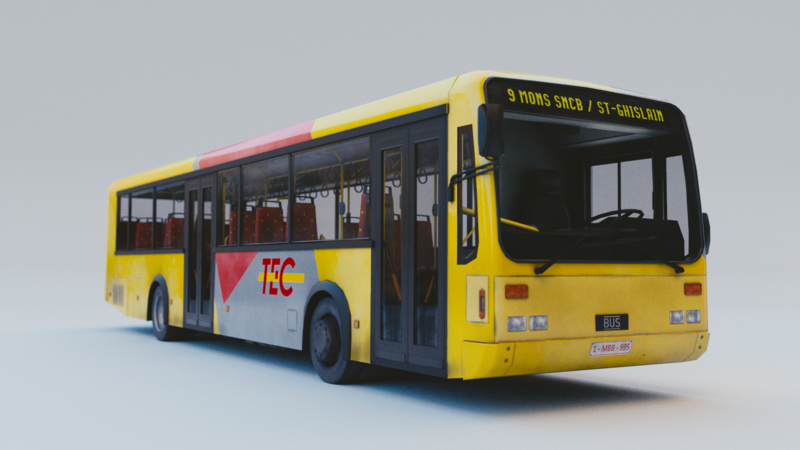 The Yellow-red-grey company is the “TEC”, the main bus company in the french side of Belgium. The full model has less than 30k triangles, it has textures from 256px to 4096px (for the demo purpose, the resolutions were reduced by two). Modeling, UV and bakes with Blender 2.79, PBR texturing with Substance Painter. The model is available here on my store.